TheRoom@Bkk hostel benefits from excellent location next to the main road, safe, friendly, and convenient, near Khaosarn Road, The Grand Palace, Wat Po, National Museums, National Gallery, The Chaopraya River. It is easy to go to Street market (Jatujak, JJ Mall, Night bazar, MBK by bus or taxi. The room is modern and fully equipped with air-conditioning, hot shower, clean and private bathroom, refrigerator, cable TV in large size room with a 24-security service, Thai traditional massage and tourist information. There are hostels in Bangkok but at the Room@Bkk, you will find the safe, clean, bright and large room with new furniture interior. 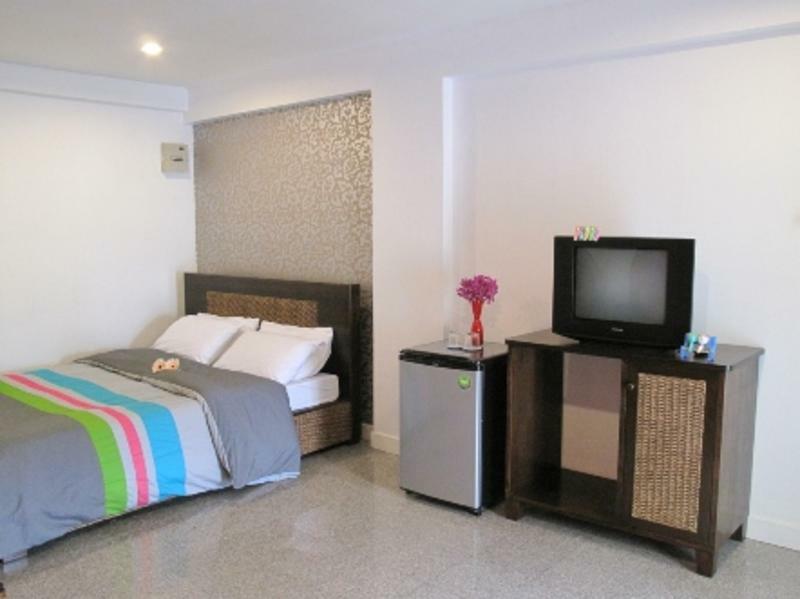 If you look for reasonable hostel in Bangkok, the Room@BKK is your right choice! TheRoom@Bkk is located at Banglumpoo (Khaosan) community which is well known for travel backpackers who seek for the safe and reasonable guesthouse for all year. From the Suvanabhumi airport, you can take airport bus A2 and drop at Banglumpoo bus stop near PraArthit Road. Or you can come with airport taxi at cost 400-500 THB. Only 10min by walk to Khaosan Road where you can start your journey to anywhere around Bangkok city easily. For those who love to move around by boat, the Chaopraya River and Pra-Artit Pier is only around the corner. TheRoomBkk is located at Banglumpoo community which is well known for travel backpackers who seek for the safe and reasonable guesthouse and bed&breakfast for all year. From the Suvanabhumi airport, you can take airport bus A2 and drop at Banglumpoo bus stop near Pra-Arthit Road. Or you can take airport taxi at cost 300 - 350 THB. Only 10 min to Khaosarn Road where you can start your journey to anywhere around Bangkok city easily. For those who love to move around by boat, the Chaopraya River and Pra Artit Pier is only around the corner.